March 26, 2018, 2:57 p.m.
At Marketing Week Live 2018 in London, YouGov gave exclusive insights into how companies can best serve personalised adverts. Consumers today have access to unlimited data, information, and content. Faced with greater choice, they have more power over how and when to interact with brands and consume media. But because of this abundance of choice media, content, advertising and even research has to engage consumers quickly. If not, they can become bored, tune out, and go to a more relevant alternative. The implication of this is a shift of power from brands and media owners to digitally savvy and technologically-empowered individuals. Shouting louder to gain your consumer’s attention does not cut it anymore. Instead, it’s about finding those key opportunities to talk with your audience. It is more essential than ever for marketers to understand and organize themselves around consumers, not channels or campaigns. Reaching the right audience requires thought and tact. Over half (55%) of British adults say personalised adverts creep them out. However, targeting the one-third (36%) that are more likely to engage with adverts that are tailored to them can yield strong return on investment. Today, understanding consumers’ appetite for personalisation and finding that balance is critical. This process can be accelerated by focusing on the target audience that is more likely to engage with personalised content. 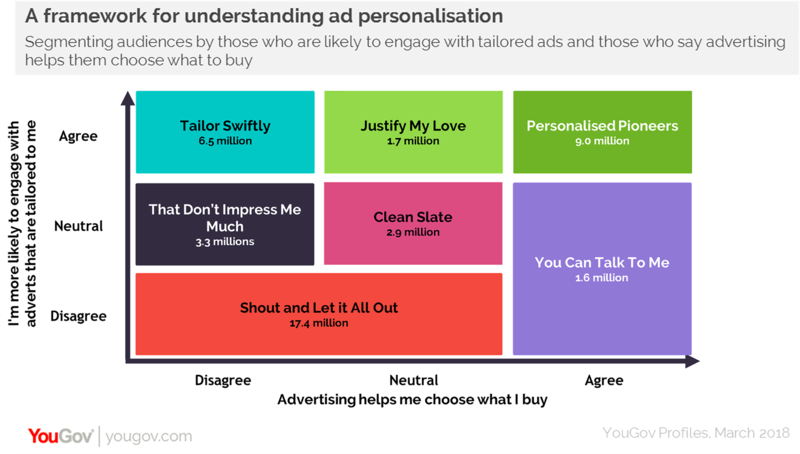 This group of tailored ad enthusiasts can be placed in a framework that combines two levels of understanding demand for ad personalisation —that is, how likely they are to engage with tailored ads and whether they agree that advertising helps them to choose what to buy. Therefore, when it comes to personalised content, focus on the Personalised Pioneers: not only are they more likely to engage with the advert, but it will be more likely to influence their purchasing decision. But it’s not enough just to reach the right audience. 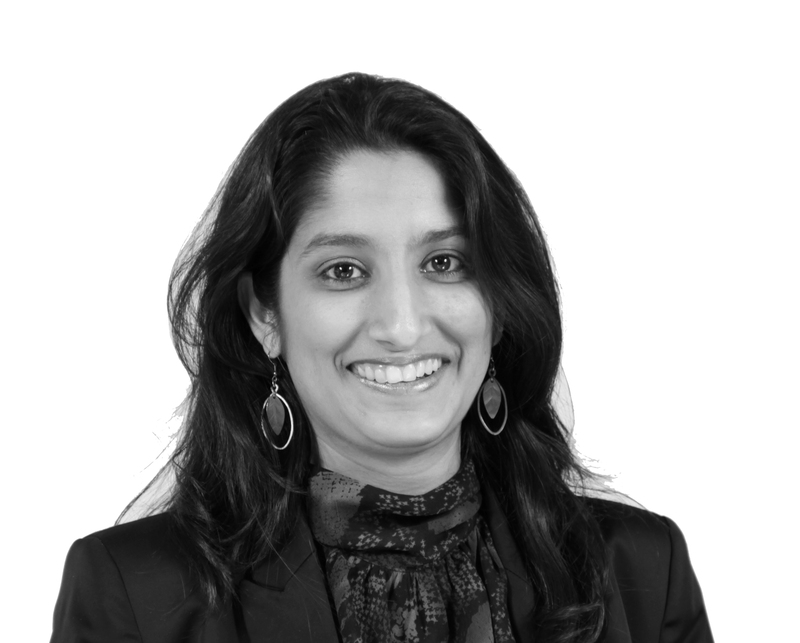 Marketers have to understand Personalised Pioneers beyond their demographics. 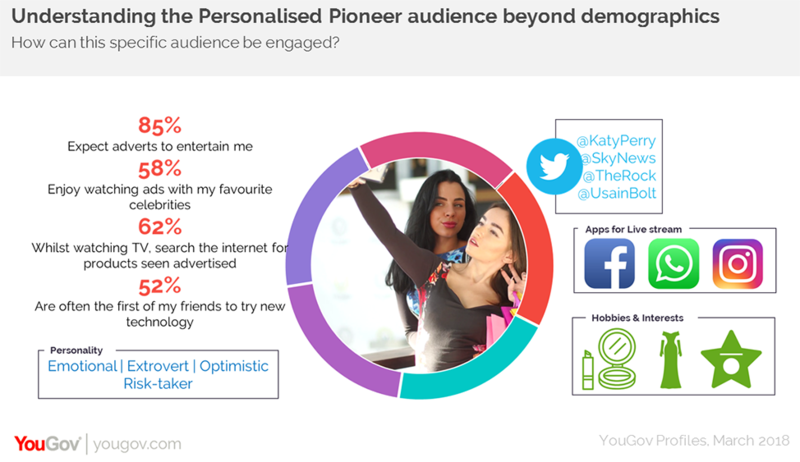 Marketers should focus their digital campaigns toward Personalised Pioneers on social media. Over one half (52%) are more likely to engage with adverts on this channel than on regular websites. This compares to a 22% national average. Almost half (42%) of Personalised Pioneers watch live stream video through the likes of Facebook Live, making it an ideal space for content. Serving engaging ads on such platforms maximises potential for a successful campaign. Members of this group are highly influential. Two-thirds (64%) agree that people tend to ask them for advice before buying things. In addition, they are notably more likely than the general public to be first among their friends to try new technology (52% versus 31%). To find out how you can benefit from creating an audience framework using YouGov’s plan and track solutions, email us at data.applications@yougov.com.